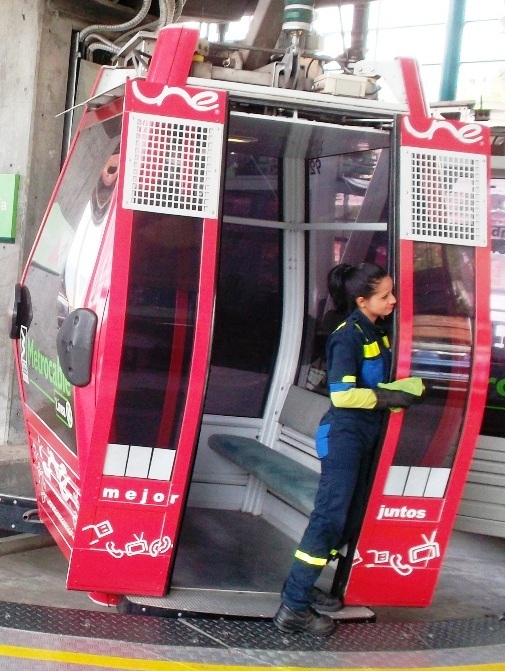 If you visit Medellín then you really should explore the city using their world class metro system. WHY? The metro covers a decent stretch of the city. It allows you to see a great amount of the area just glancing through the clean and large windows. This sky train is a fantastic way to create an independent and makeshift tour of the city. There are a total of 46 stations along six lines, including the main A-line route of 21 stops. 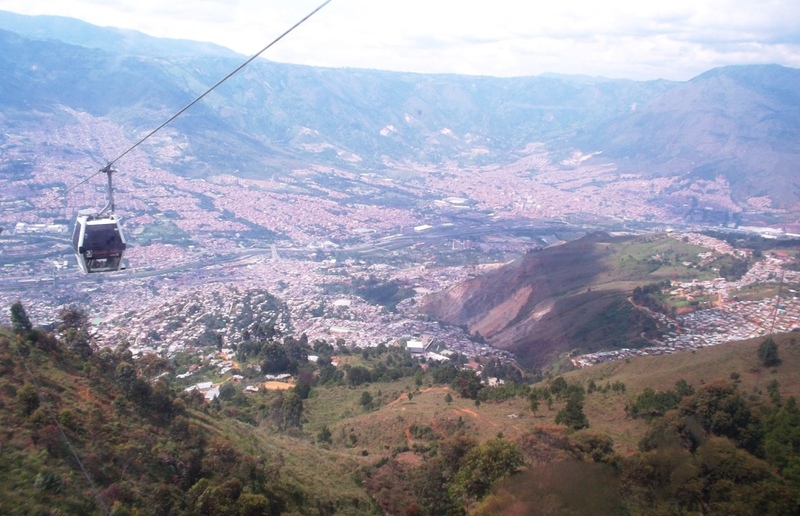 This principal course runs north to south along the Medellín river. On top of the sky train, three cable car routes allow access to a greater range of the metropolis. With respect to the J & K lines, this extraordinary engineering endeavor was designed for people who live up in the many neighborhoods in the hills. It’s also encouraged that tourists use these lines for joy riding. The locals will be happy that you’re impressed by this unique aspect of their city. Before my eyes, the city rose higher into the Andes. The sounds of cars, kids and music changed frequently on both the ascent and descent. Below there were billboards for both the metrocable car riders and drivers. I cruised above the biggest satellite dish I’ve ever seen resting on a roof. 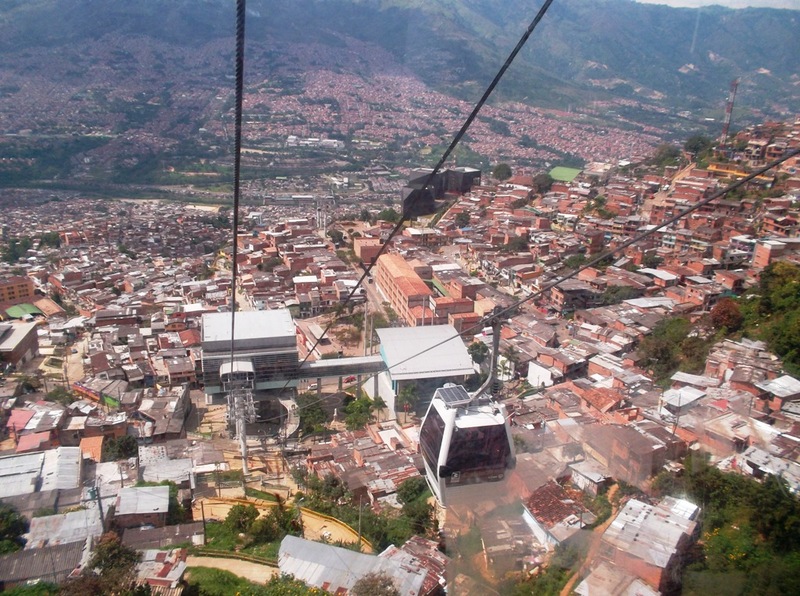 As I was riding on a cable car high up above Medellín for the first time, all I could think was: What a view. I’ve never experienced cable cars above a city that stretches up from a valley. The tin roofs appear to be marching up like wide staircases. Some roofs on the connected, red-brick homes are in better condition than others. I can’t make out the foundations but I worry about heavy Andean rains causing floods and the nightmare that these poor people must endure. My thoughts fluctuated: Who’d a thunk it? 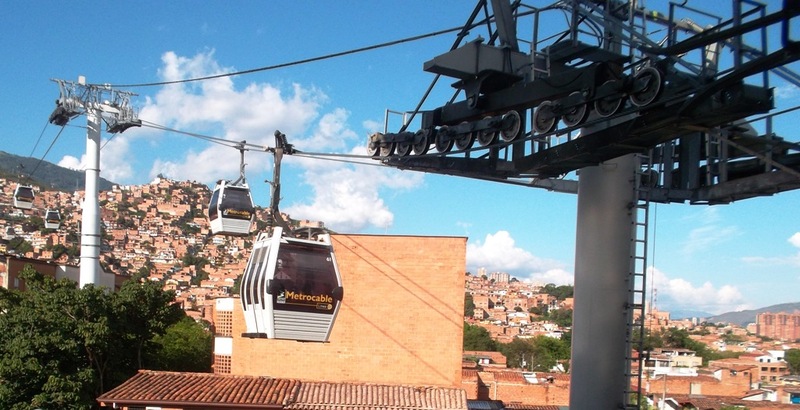 State-of-the-art cable cars blend above the rising, impoverished neighborhoods. I’ve never seen a sight like it. Along with seeing small houses rising like rice fields, cruising on the cable cars’ section of the metro takes you high above rolling hills. It’s a great way to appreciate the vastness of the city while taking in terrific views. 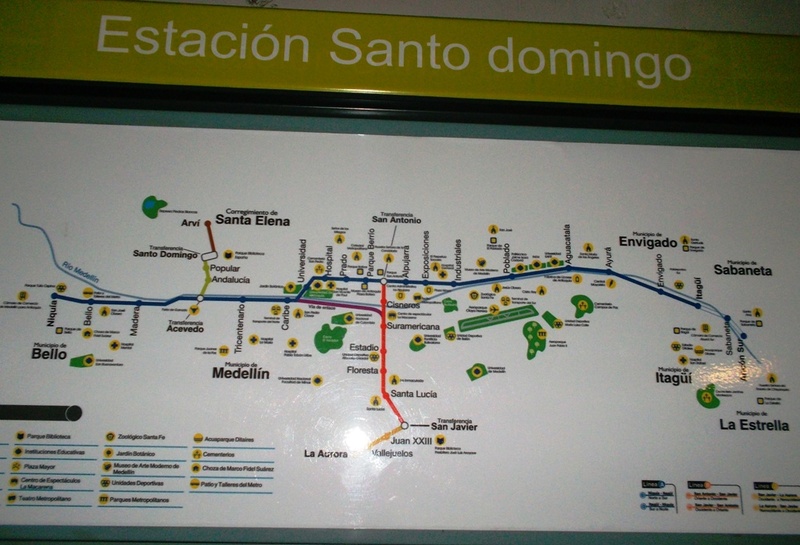 At the end of the K and beginning of the L line lies the barrio of Santo Domingo. There you change metro cable stations. The L line has only one stop at the end which is Parque Arvi beyond the city. The L line is designed for locals and tourists. 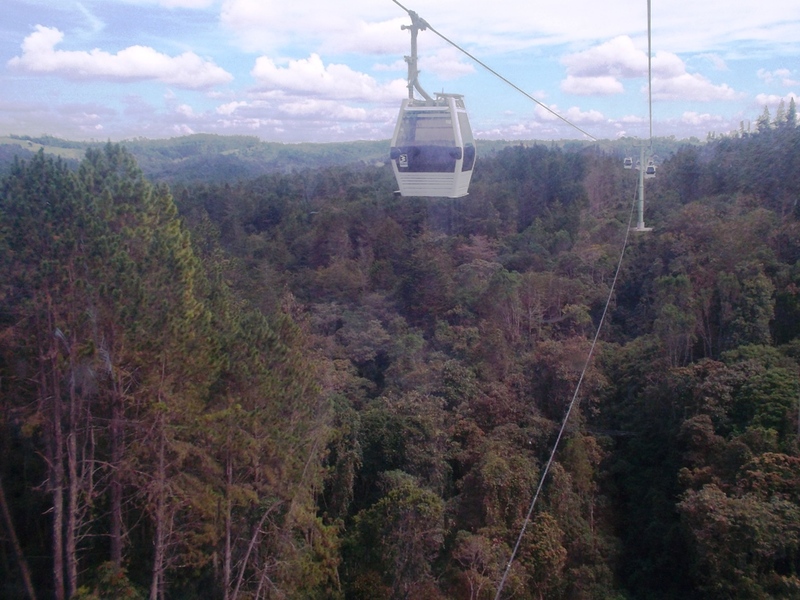 On the metrocable’s L line, you’re taken from the din of the city, above the grand valley, and over a long forest. The natural splendor is stunning. I was able to see the insect-like urban sprawl of the super hollow far down below. I pondered: I’m living an Andean fantasy that I’ve never known about. Once arriving in Arvi there are many hiking trails. There are also tons of local treats to be purchased at a great value. Each car holds eight people but they don’t always fill up. It’s even possible to get a car to yourself if you’re fortunate during off rush-hour times. If you’re prone to vertigo then these contemporary cable cars aren’t for you. The cost of getting on the metro is: 1800 COP (Colombian Pesos) or $.96. Miraculously, the billion dollar plus cable-car project is included in the price of your metro fare on lines J and K. On the L line to Arvi the cost is a separate 3,500 COP or $1.90 one way. 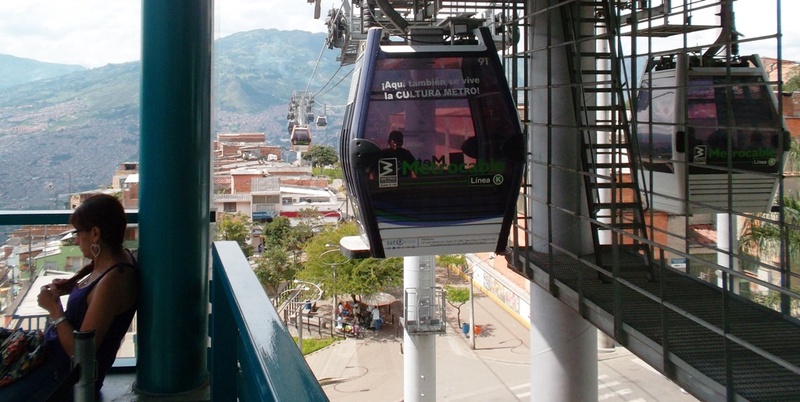 I’ll confidently coin the price of a Medellin metrocable ride as one of the greatest values on earth. Cops in this city tend to be friendly and cooperative. I’ve seeked out navigational help from them on numerous occasions and they’ve been nothing but friendly and helpful. I often noticed them standing around laughing and joking with one another. 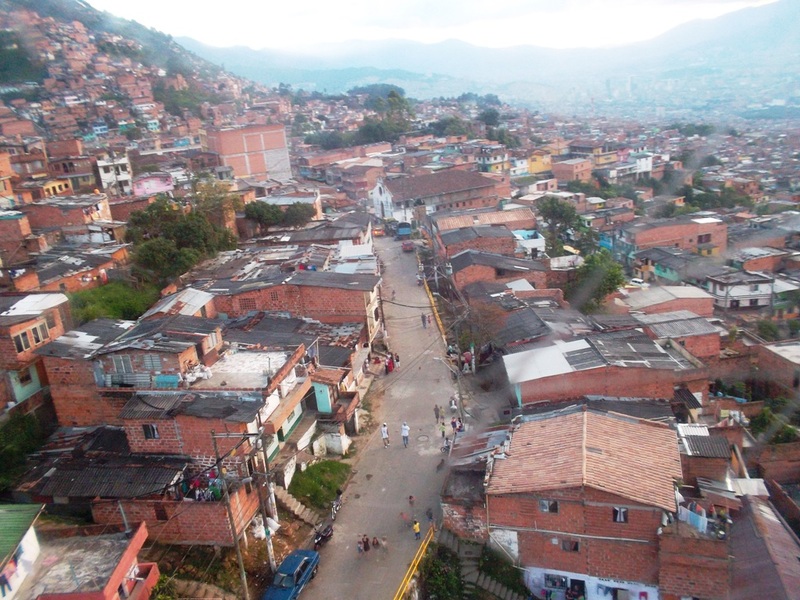 After hopping on my first metrocable ride and seeing neighborhoods like this right below me, I was blown away simply because I’d never experienced anything like it. I felt as if I’d entered another dimension of existence. 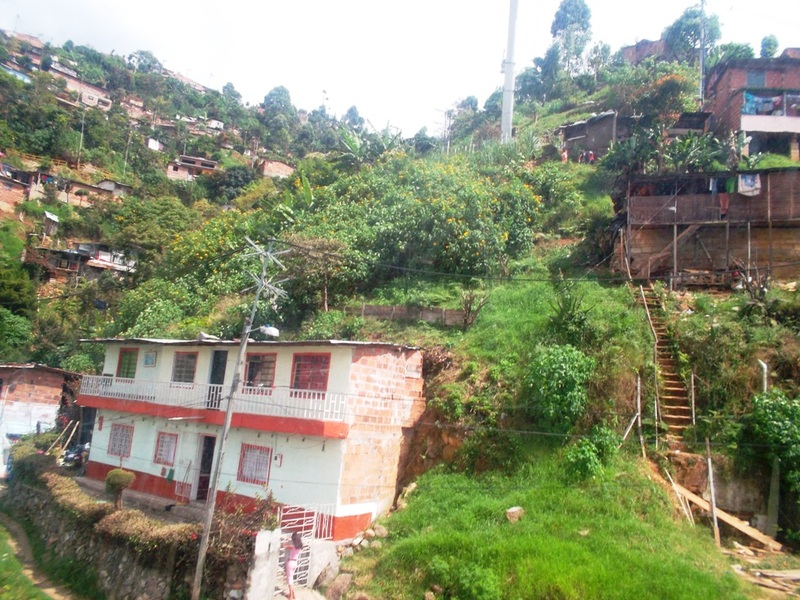 Riding the Medellín metrocable provided me with perhaps the best gazing experience I’ve ever had. This is the no man’s land between the city and Parque Arvi. I like the various juxtaposing going on in this photo. If you have a fear of heights then don’t look down. Before I neglect it completely, the traditional metro car part of the metro system is contemporary, clean, fast and reliable. 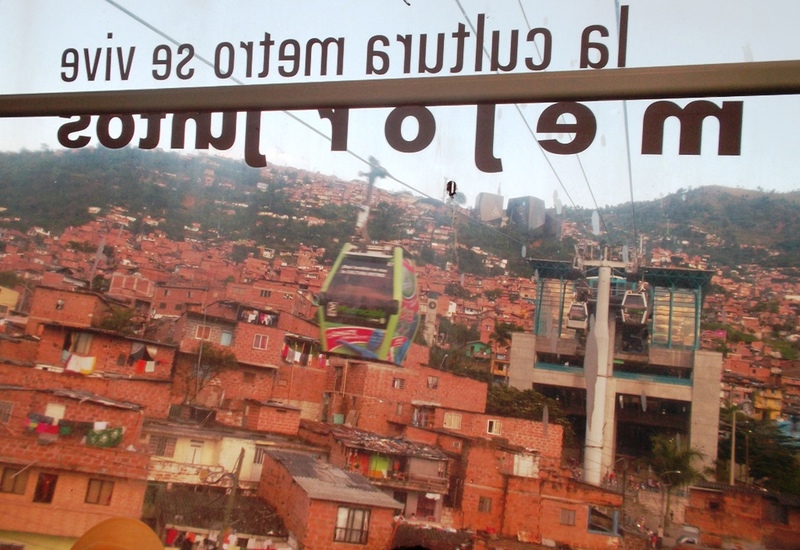 Here’s another shot of a few state-of-the-art cable cars from Acevedo station. 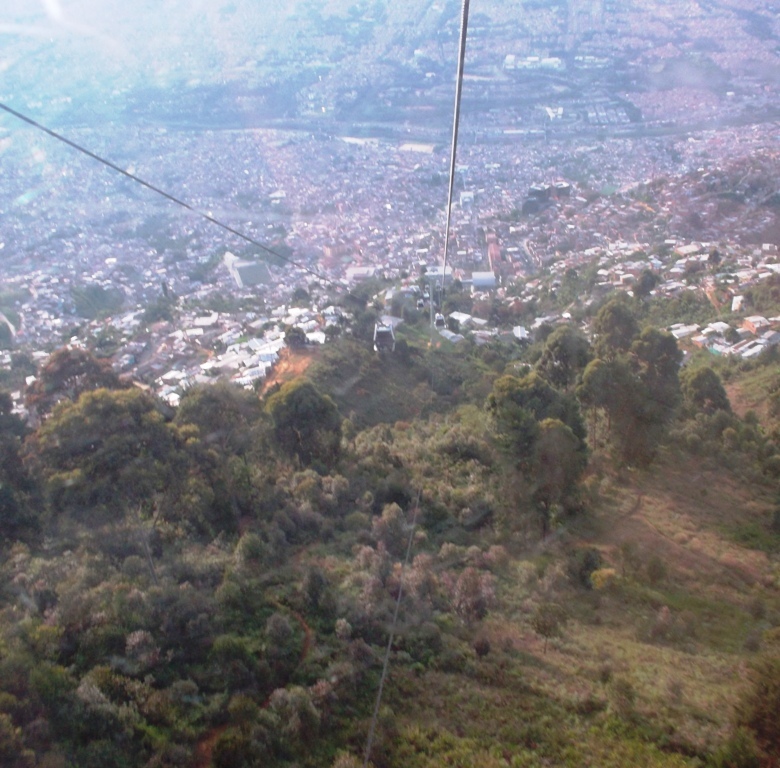 These final two photos demonstrate just how far beyond the city these cable cars go. For the visitor, this system is spectactular, while for the Paisa, it’s extremely functional. 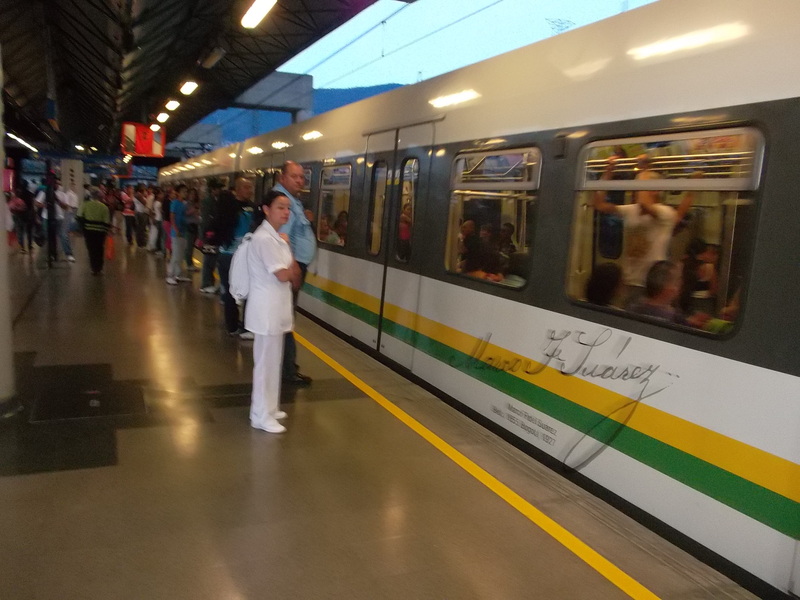 The only word I can think of to describe Medellín’s metro is: AMAZING! Lot of people travelling in Colombia lately, hope you might find new and cool places in our country. . .
SABANERO: One Thousand Thanks! I recently read somewhere that Colombia’s tourist industry is forecast to increase by around 12% this year, which is the highest of any country on earth. WOW! I guess the word’s getting around that this is a great time to travel in Colombia. Colombian people tend to like foreigners. They’re mostly very friendly and genuine and hope that the visitor has a great time while experiencing Colombia. ELIZABETH: Yes the nature down here is mind blowing, The beauty’s beyond imagination. Yeah, the people are just ridiculously friendly and easy to talk to. They love their fellow countrymen and extranjeros or foreigners alike. You forgot the fruit, there is so much of it. I ate fresh sugar cane for the first time today, delicious! I agree, this is totally amazing and unique, thanks for sharing! OH MY! These pics are amazing. I can clearly see how this would be almost surreal.